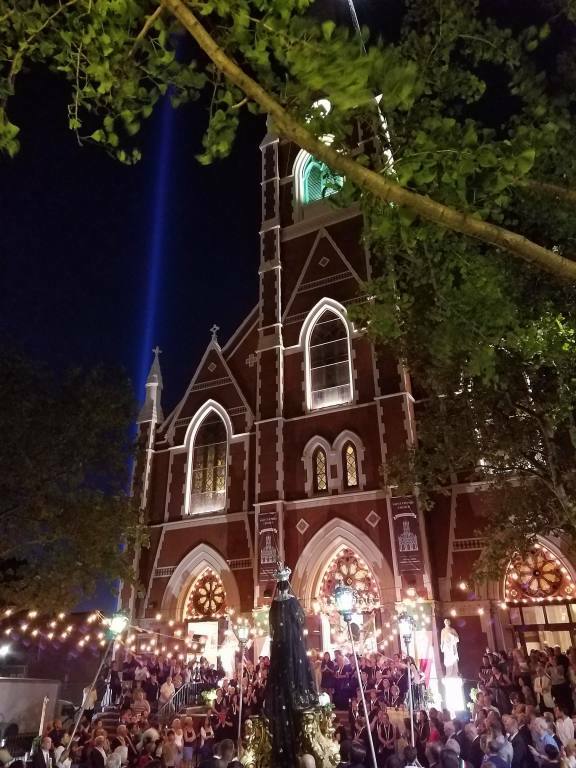 The congregation of Maria SS Addolorata was established in 1948 in Brooklyn, New York, by the Italian immigrants from the town of Mola in Bari, Italy. Longing to continue the traditions of their faith and culture the congregation was formed in their new neighborhood of South Brooklyn at the Parish of Sacred Hearts - St. Stephen. 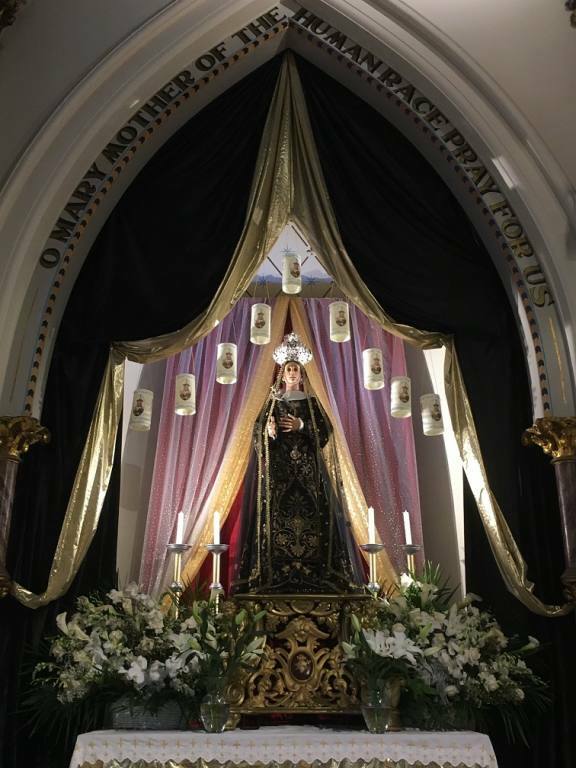 At that time a replica of the statue of their hometown patroness, Our Lady of Sorrows, was commissioned and shipped by boat across the Atlantic from Mola to Brooklyn. Since that time the statue has been the inspiration of great devotion and faith. The statue is carried on the shoulders of men twice a year through the neighborhood of Carroll Gardens in South Brooklyn. These occasions are Good Friday and the Feast of Addolorata on the second Sunday in September. On these occasions devotees from the tri-state area and beyond gather back at the old neighborhood to walk in the footsteps of generations past that came to this great country with hope and dreams of a new life guided by their faith and the intersession of the Blessed Mother under the title of Addolorata.